(Morning Star News) – Police and local officials in Sri Lanka declined to recognize Buddhist aggression against churches and in some cases encouraged persecution of Christians in the first four months of the year, a report indicates. Police initially refused to register a case when a mob led by Buddhist monks assaulted the pastor of Kings Revival Church and three other church members on March 26 after a Sunday worship service in Ingiriya, Kalutara District, the National Evangelical Alliance of Sri Lanka (NEASL) reported. The attack occurred after the pastor, whose identity is withheld, had dispersed the congregation and was hurrying home following a telephone call he had received from a church member alerting him that a van full of armed Buddhist monks were waiting for him at the top of a road, according to the alliance. The previous day at about 10 a.m., an unidentified person and two Buddhist monks had visited the pastor and questioned him about the legality of religious worship on his premises. During the discussion, one Buddhist monk called the Village Officer (Grama Sevaka) and summoned him to the pastor’s premises. After questioning the pastor, the Village Officer called a Provincial Council member to further interrogate him, NEASL reported. The council member arrived and demanded that he furnish all church legal documents, threatening to take him to the area police station if he failed to do so. “Government officials took pictures of the pastor, a copy of his national identity card, and hurled threats at his family in derogatory language,” the alliance reported. After the next day’s assault, the pastor received credible information that the Village Officer was part of the mob, NEASL reported. Following legal advice, the pastor on March 27 went to the police station to file a complaint. Also in Ingiriya in western Sri Lanka, police told the leader of the Christian Fellowship International Ministry on March 25 to stop holding worship services after a congregation member called police to report a Buddhist mob’s disruption of a worship service. The mob of around 50 people led by three Buddhist monks forcibly entered the fellowship’s worship service and demanded that it cease, NEASL reported. “The mob then proceeded to ask the names of the Christians present and question them on why they had attended the worship service,” according to the alliance. After a Christian called an emergency police hotline, two drunken police officers arrived, reproached worshippers for breaching the peace and ordered the pastor to the station for questioning. Accompanied by a lawyer, the pastor went to the police station on two occasions but was not granted a meeting with the Officer-in-Charge (OIC), NEASL reported. The pastor was summoned again on April 2, but when he arrived at the police station, he found a mob of some 200 people led by about 20 Buddhist monks. The OIC asked the pastor whether he had obtained permission from authorities to conduct religious worship activities, and he responded that he was unaware of such a requirement in the law. The OIC asserted that he should immediately discontinue all religious worship, warning him that he would face severe consequences in the event he failed to comply, NEASL reported. When the pastor declined, officers took further statements from him regarding his refusal. Police said they would file a case against the pastor of breaching the peace, and afterward the mob began to shout threats at him and blocked him from leaving the station. At one point the pastor came out of his house, and an unidentified person attempted to attack him with a pole, NEASL reported. Responding to a complaint by another pastor, four police officers arrived and ordered the pastor and his wife to temporarily vacate their home for their own safety. The pastor, who has conducted worship activities in the area for 17 years, and his wife sought shelter at a Christian’s residence. In 2002, a mob had destroyed the church’s previous building, according to the alliance. The Division Secretary sent a letter to the pastor dated March 31 stating that his worship services were not registered, and that he had to register in accordance with a circular issued by the Ministry of Buddha Sasana and Religious Affairs in 2008. The circular, which required all new construction of religious places of worship to be registered with the ministry, has no basis in Sri Lankan law, NEASL reported. “There is no legal requirement to register places of worship with the State,” it stated. On Saturday (April 15) at about 11:30 p.m., a group of people pelted the pastor’s premises with stones for about an hour, damaging the property, the alliance reported. The pastor filed a police complaint. His house was stoned again on Monday (April 17), and he filed another complaint with police. Buddhism is granted the “foremost place,” in Sri Lanka’s constitution, which along with some laws commits the government to protect it, according to the U.S. State Department’s latest International Religious Freedom Report. While Sri Lanka’s constitution grants the right to manifest one’s religion or belief “in worship, observance, practice, or teaching, both in public and private,” there are instances where local officials appear to act in concert with nationalist Buddhist organizations, the religious freedom report states. In the northwest part of the island country south of India, police declined to prosecute when a Buddhist mob destroyed the building of the Kithu Sevana (House of Christ) church on Jan. 5, NEASL reported. 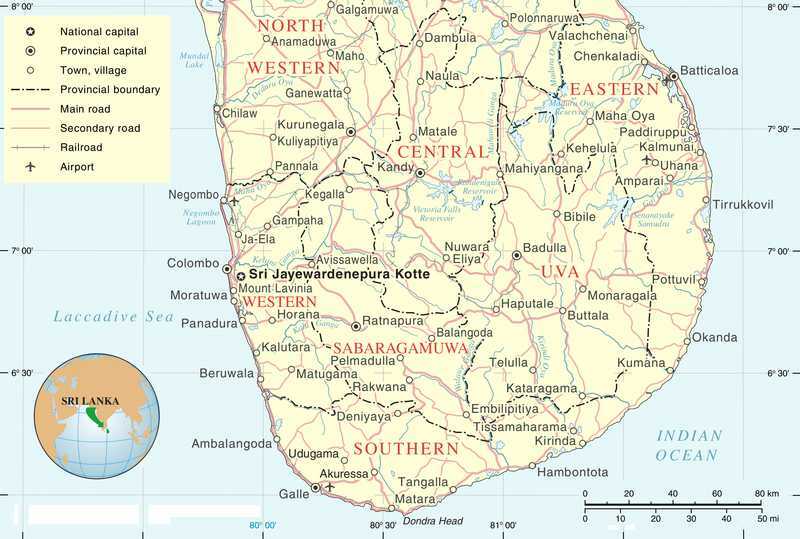 About 10 villagers and the Buddhist monk from the village temple in Karuwalagaswewa, Puttalam District, had on Jan. 1 threatened the pastor and 12 other Christians with violence and said they would not allow them to return to the village. The Christians immediately filed a complaint with local police, NEASL reported, and on Jan. 4 the pastor and his lawyer visited the Officer-in-Charge. The OIC said he would investigate, and the next day the pastor and five congregation members went to the police station for questioning. With the village monk and some 10 other villagers also present, the pastor asked that they be left in peace to worship. The Buddhist monk insisted that they leave the village. The OIC then referred the matter to the courts, NEASL reported, but that evening at about 7 p.m., a mob of about 100 villagers, including two monks, attacked and destroyed the Christians’ church building. In southwest Sri Lanka, a local official encouraged residents of Balangoda, Ratnapura District, to harass Christians and drive them out of the village, NEASL reported. Four villagers on Jan. 22 informed the pastor of Shalom Christian Centre that a discussion had taken place at the local Divisional Secretariat regarding his church’s worship activities. Residents had circulated a petition stating that the pastor and his congregants should not be allowed to continue to worship since it was a predominantly Buddhist village, NEASL reported. The Divisional Secretary had stated that, although he could not take any legal action against the pastor, he encouraged villagers to create problems for the pastor and his church and attempt to drive them out of the village, according to the alliance. “Following this incident, the pastor reduced the number of prayer gatherings held at his place of worship,” it reported. Local officials pad previously filed a case against the pastor concerning his worship services, but the Supreme Court had dismissed it, stating that the officials had no legal grounds for the charges. In Gampaha District north of Colombo, the capital, about 40 villagers led by seven Buddhist monks on Jan. 15 broke into the worship premises of Christ Freedom Church in Minuwangoda and demanded a halt to services, NEASL reported. Earlier the pastor had called the police emergency hotline at 8:45 a.m. when church members informed him of a number of villagers lurking nearby. Police did not arrive until 11:15 a.m., took a statement from the pastor and advised him to file a complaint. When the pastor arrived at the police station, however, he was informed that a villager had already filed a complaint against him. Shortly before midnight that night, the pastor and his wife awoke to the sound stones striking their house. They were unable to identify the assailants. He called the police emergency hotline, and officers arrived at 12:10 a.m. and advised him to leave the village for the sake of his family, the alliance reported. The following day, the pastor filed another complaint with police. Officers referred the matter to the village’s mediation board, and on Jan. 28 the pastor, his wife, and two congregation members arrived for an inquiry by the board. The board sided with the 15 other villagers present, demanding that a stop to worship services. There was no further report on the case at this writing.